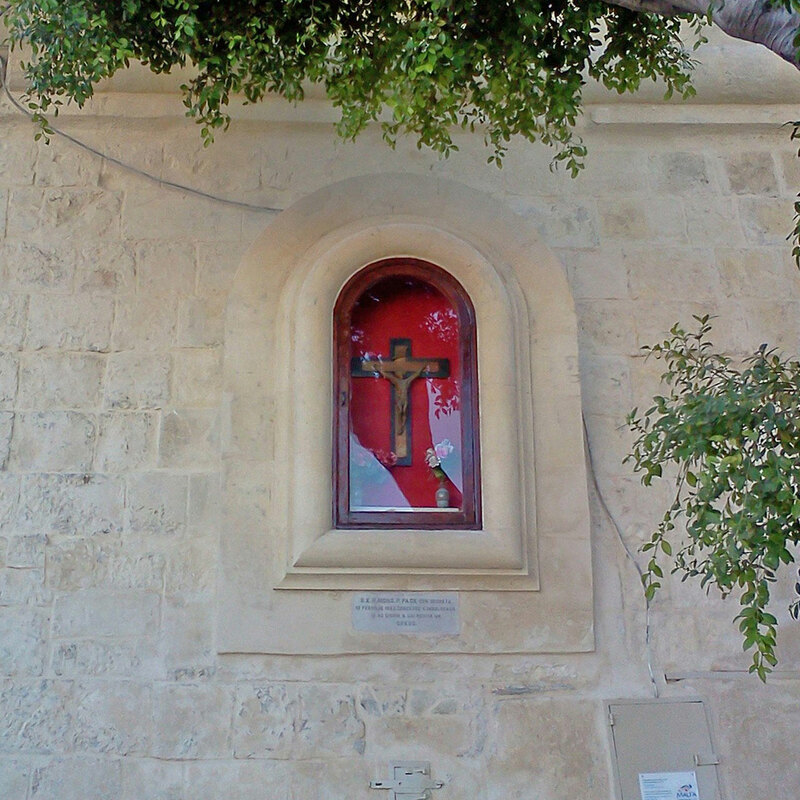 The niche, which is dedicated to the Holy Crucifix, was possibly constructed during the British Period when the road leading from Pinto Wharf to Floriana was built. 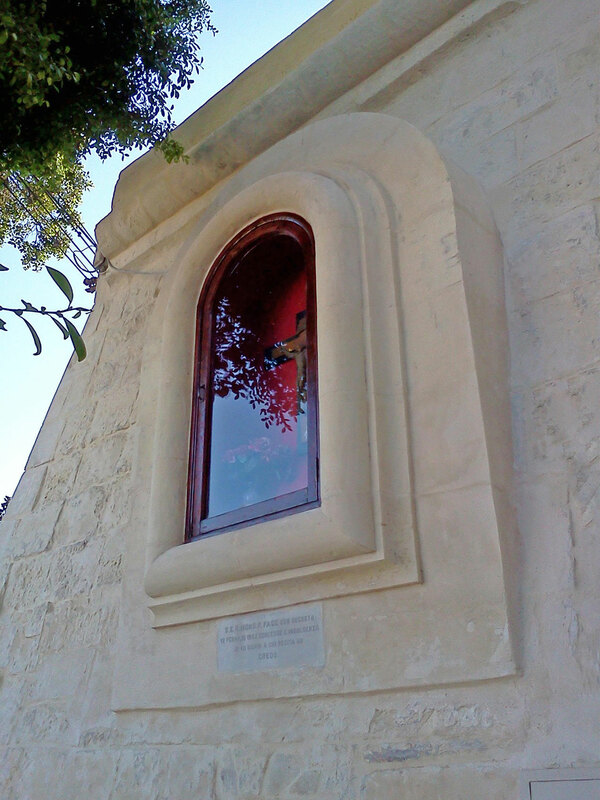 The works consisted in the restoration and repair of the masonry fabric, using techniques such as plastic repair. 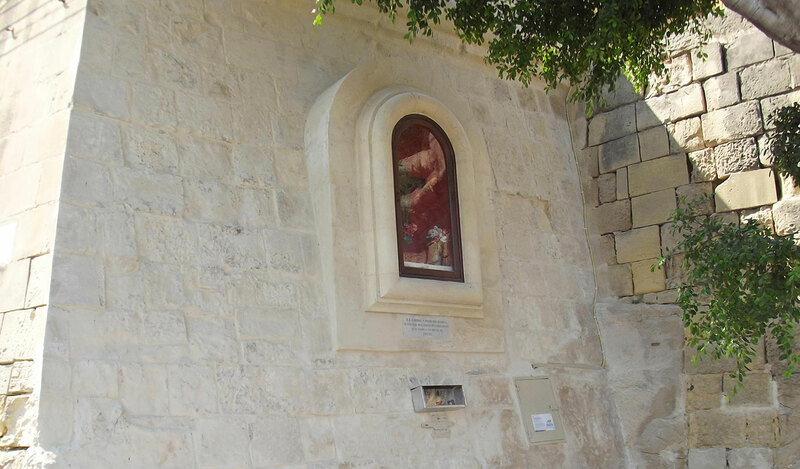 Followring tests which were carried out in order to determine the original colours used and taking into consideration the traditional colours used at the time of contruction of the niche, the interior side of the niche was painted rosso pompeii using a lime-based paint.